January 1 for the holidays. PATH Intl. recently received an international delegation from South Korea. 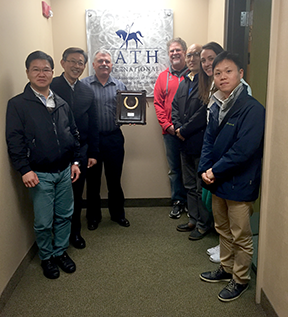 Representatives of the Korean Racing Authority visited the PATH Intl. offices to discuss center membership, PATH Intl. Premier Accredited Center processes, continuing education, and certification processes. The selection of therapeutic riding horses as well as selection of therapeutic riding instructors from the United States were also discussed. Congratulations to Arlene Alen for being named to the International Placemaking Leadership Council. 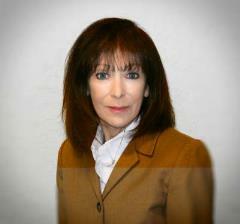 Arlene is the CEO/President of Chino Valley Area Chamber of Commerce and serves on the PATH Intl. Board of Trustees. Read the article about Arlene in The Daily Courier. The Placemaking Leadership Council was founded in 2013 by Project for Public Spaces to strengthen placemaking as an international movement and to establish a cross-disciplinary network for placemakers working in diverse contexts. Read about PLC. In September 2015, PATH Intl. was one of 89 grant awardees from the United States Department of Veteran's Affairs to support veterans in adaptive sports. For the period of February 1, 2016 - August 1, 2016, PATH Intl. will provide $14,000 in reimbursements for the purchase of equipment to support direct participation in equine-assisted activities and therapies at PATH Intl. Premier Accredited Centers (PAC). PATH Intl. Premier Accredited Centers with Veterans and Armed Services Member (VSM) participants, upon approval of the application, will be eligible to receive up to $1,000 to purchase equipment necessary to operate a VSM program. Funds will be allocated until the $14,000 is expended.